This deliciousness is the result of taking three weeks to move from one apartment to another. Half of my stuff was moved over to the new place, the other half was dumped all over frat house style still needed to be packed in the old place. What I DID have on hand was a George Foreman grill (no utensils, actual cooking skills, or caring about calories required). I stopped at my local deli on the way home from work and grabbed sliced Boar's Head (the ONLY brand in deli meats and cheeses in my opinion) mozzarella and pepperoni "nuggets" as they were called, and sprinkled on some Italian seasoning in the middle of two heavily buttered pieces of sourdough bread. 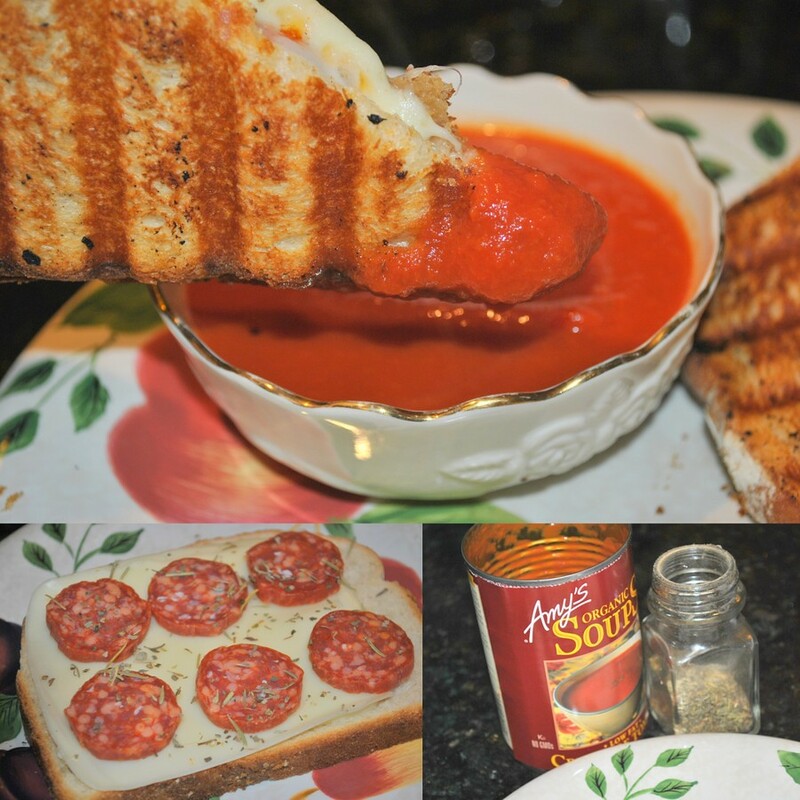 Pop in the Foreman for like two minutes, serve with hot tomato soup for dipping purposes and you have died and now reside in grilled cheese heaven. Whaddup new neighbor?! Currently Coveting is also on Twitter, Facebook, Instagram, Bloglovin, and Pinterest. Oh man, this looks AMAZING! 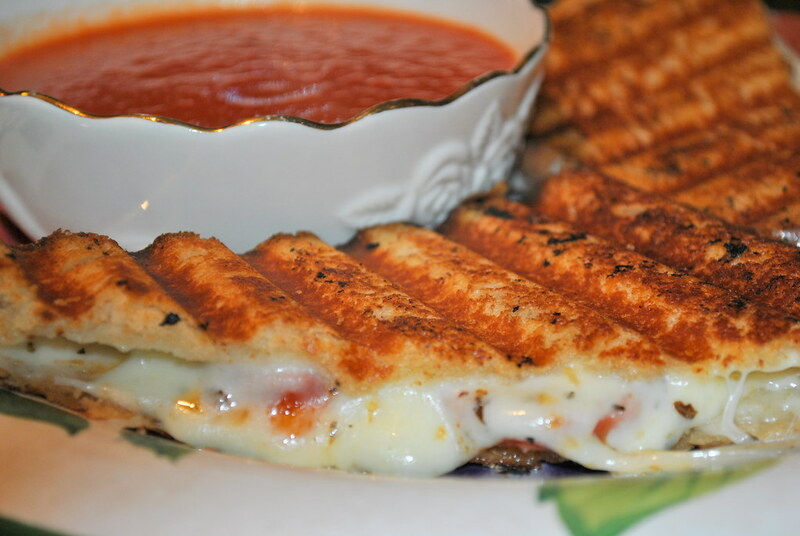 Pizza grilled cheese?! OH MY GOODNESS. This is totally up my alley! Sounds AMAZING. 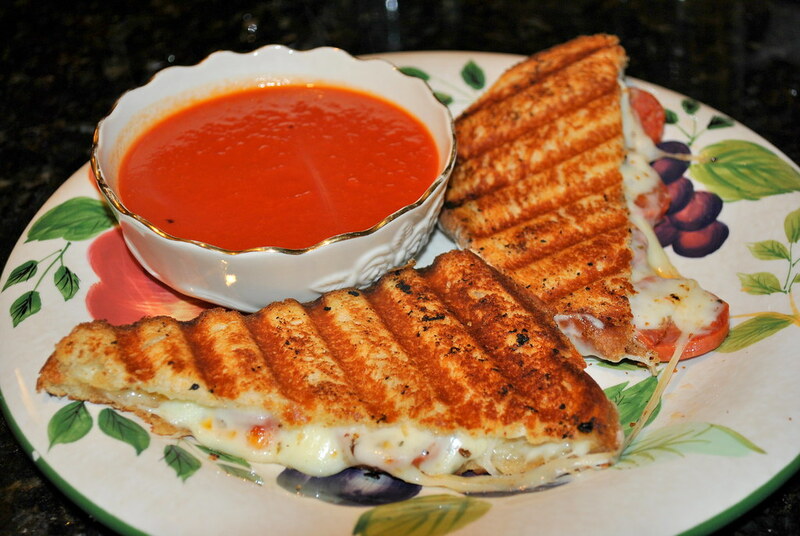 I love me some grilled cheese...and totally agree about Boars Head! It's the best! This literally looks delicious. I'm drooling. Have a great day! I'm starving!! This looks so delicious!